It’s all how he envisioned it would be. ASCE student teams from across the country – from across the world – will travel to the Colorado School of Mines this weekend. They’ll come in caravans with colorful concrete canoes in tow. They’ll chant and cheer and bang drums. They’ll talk shop and trade ideas and share presentations about concrete mixes so innovative they defy logic. And they’ll take to the lake and race those concrete canoes against the clock and each other. 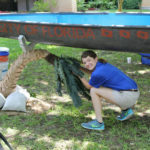 It’s the National Concrete Canoe Competition, an ASCE tradition that dates back 30 years. All the way back to a professor at the New Jersey Institute of Technology named R. John Craig. Robert John Craig – John to his family and friends – was seemingly born a civil engineer. 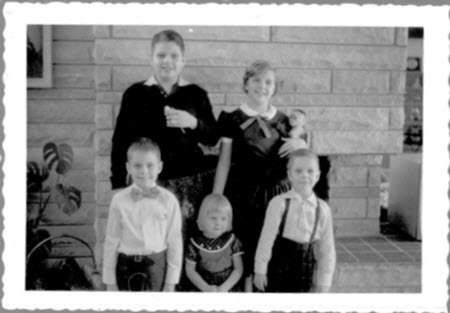 John, the oldest of five Craig children enjoying an idyllic small-town Midwestern childhood in Noblesville, IN, brought an engineer’s approach to everything. He loved model trains, so of course he constructed a veritable miniature rail infrastructure in the family’s basement using old dressers and plywood. When he and his sister Chris (Craig) Fossett took an interest in photography, it wasn’t enough to simply buy a camera. John converted a spare bathroom in the family’s house into a makeshift darkroom. In high school, come Homecoming time, John fit the class float out with giant diesel airhorns loud enough to be heard halfway across Noblesville. And then there was canoeing. John loved canoeing – the normal kind at first; not the concrete models. 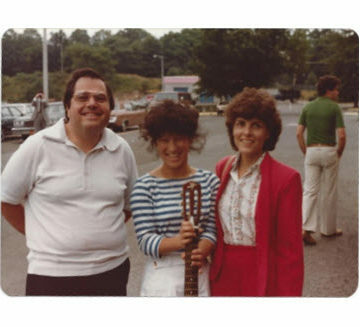 His sister Kathy (Craig) Skillman remembered John building a canoe in the family’s basement, and after several years when their father wanted the space back, it took John’s engineering mind to figure out how to get the boat around corners and out the door. 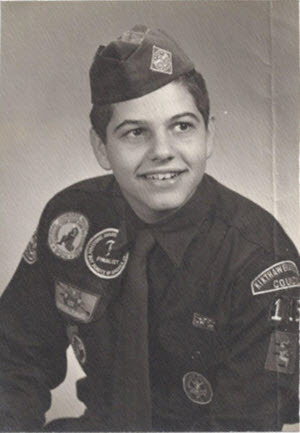 An Eagle Scout, he also loved the outdoors and would go on long canoe trips from an early age – often north, in Wisconsin or the Boundary Waters in Minnesota. John Craig’s absence at the 30th National Concrete Canoe Competition is a cruel irony. The whole event, after all, was his idea. Concrete canoe began at the University of Illinois in 1970 as a class project of Professor Clyde Kesler. A year later students from Illinois raced against Purdue (let the record show that the Illini won), and concrete canoe began to spread regionally throughout the civil engineering community during the next decade. John, who was at Purdue finishing his Ph.D. in the early ’70s, brought the concept to his first full-time teaching job at Penn State Harrisburg and then to Newark when he accepted a position at NJIT in 1975. “The first time I heard him talk about concrete canoe was at Penn State,” his sister Chris Fossett said. “Yeah, it seemed like an oxymoron,” she laughed. Many civil engineers strive to be lifelong learners. John took that a step beyond as a lifelong teacher. He taught his younger siblings everything from photography to the biomechanics behind treating sports injuries (his brother, David Craig, went on to a career as the head athletic trainer for the Indiana Pacers). He taught Boy Scouts how to survive in the wilderness by eating plants. He tutored his niece Tara (Fossett) O’Dwyer in math. He helped retrofit a Scouts camp for children with disabilities, enlisting Steve Skillman, Kathy’s husband and John’s brother-in-law, to help with construction. He worked with his students in the NJIT structural and concrete lab to develop a patented nylon filament that’s still used today. And concrete canoe embodied just about everything he loved – the outdoors, canoeing, competition, civil engineering, problem solving, and, of course, teaching. 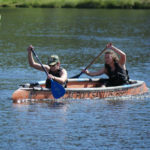 John took student teams to regional concrete canoe tournaments. But he wanted more. 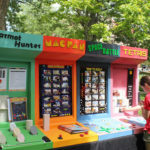 “He kept talking about wanting the students to have one more thing to look forward to, a national event that would help bring it all together,” Kathy said. 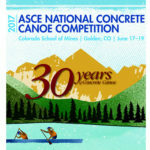 Long active in ASCE – as New Jersey Section president and vice chairman of the National Committee for Student Services, among other roles – John Craig pushed the Society in 1985 to organize a national concrete canoe championship that would unite the disparate regional competitions. In 1987, he led an ASCE committee to do just that. The first National Concrete Canoe Competition, with sponsorship from Master Builders, was planned for 1988 at Michigan State University. Tragically, John passed away from a rare brain tumor just months before the inaugural event he had worked so hard to establish. He was just 44 years old. ASCE established the R. John Craig Award in his honor, given at each national competition to the winning team in the coed sprint race. And this year – for the 30th national competition – several members of the Craig family will join those ASCE students making the trek to Golden, CO. ASCE will be honoring John’s lifetime of work, teaching, and innovation. And it will mark the family’s first time seeing the national concrete canoe competition, John’s vision all those years ago, in all its glory. “Well, the family feels very honored,” John’s sister Chris said. “John probably would’ve added to it by now,” she laughed again. “A week’s canoe race from here to there – he probably would’ve added that.